Former model who appeared on the cover of Vogue and also appeared in the 2000 SI swimsuit issue. 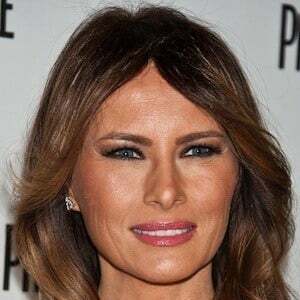 She became the First Lady of the United States when her husband Donald Trump took office in 2017. She attended University of Ljubljana in Slovenia where she studied architecture. She appeared on the cover of GQ magazine in 2008. She married Donald Trump in 2005. A year later, the couple had a son named Barron. She became a step-mother to Donald Jr., Eric, Ivanka and Tiffany Trump.